Had a great afternoon catching up with some old friends today and we found this amazing VENTURE exhibition by ThreeA toys featuring the work of Phil Hale and Ashley Wood. SEAPIG. My first Ma.K build! Had to drop by. I had a feeling Miyazaki's house would be near the studio and it was, just a few blocks away. After walking past a couple of times (6) I caught a glimpse of a silver haired gentleman inside. There was at Citroen 2CV parked outside. Pretty sure this car featured in his first film Castle of Cagliostro. I sat on a park bench near the house and did a quick portrait (pictured below with my recently purchased Terada piece) then felt enough like a stalker for one day and headed back to Shinjuku. 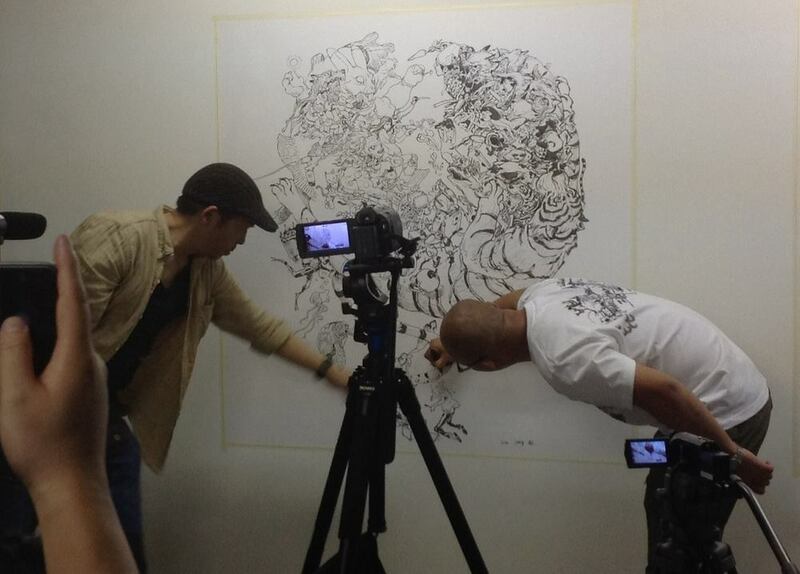 Kim Jung Gi had been to see Terada's solo show while he was here for his own exhibition in Nakano. A few days later they announced this surprise live drawing collaboration! Watching these two masters draw side by side was incredible. About halfway through there were whispers that James Jean had showed up out of nowhere for the event and sure enough he was there in Bar Zingaro afterwards. All three were sketching together in copies of Kim's latest book. So this morning, i left my hotel room with no real plan of where to go, as usual, and as usual ended up getting pretty lost. I was missing Hanoi and the friends i'd made there and Seoul didn't seem that interesting. I had seen a flying squirrel at a pet shop but other than that the day was feeling like a waste. I was about to head back when i spotted this art and design centre. There was some kind of toy exhibition on. Inside there was some cool stuff but nothing amazing. I ended up at a table with a few people gathered round. 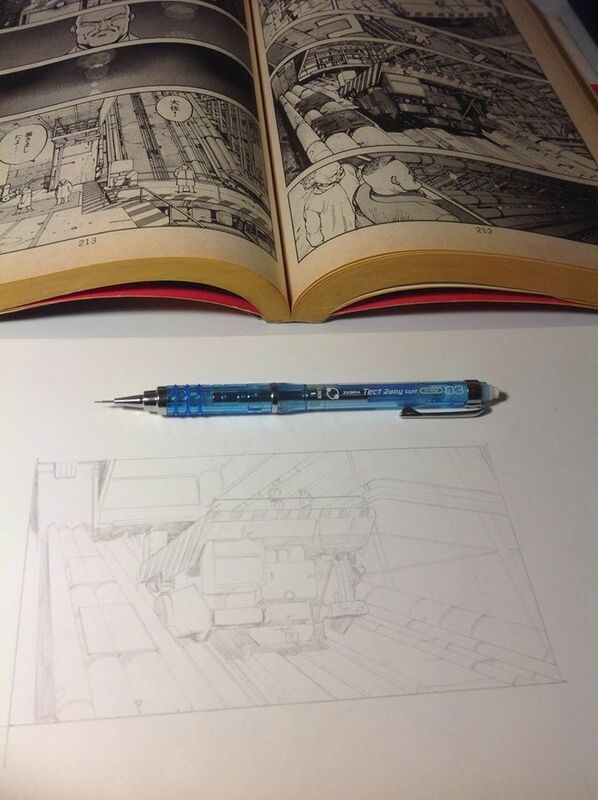 A guy was sketching in an art book. 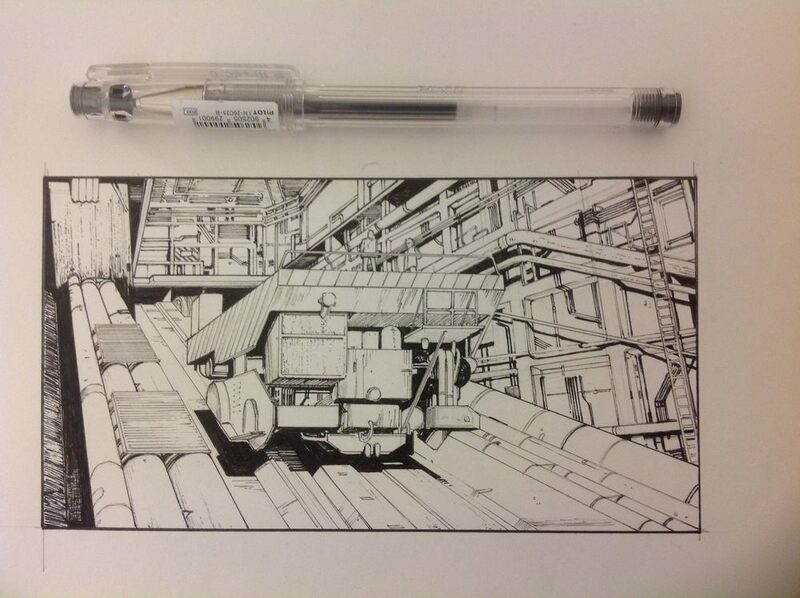 I flipped through one of the books on the table and thought to myself "Nice stuff, reminds me of Kim JungGi's work". Then i looked again at the guy sketching with the brush pen. "That isn't Kim JungGi is it? ".....10 seconds later it clicked..."HOLY F**K KIM JUNG GI IS SKETCHING RIGHT IN FRONT OF ME!!!" I scrambled in my backpack for my iPad to get some pictures. I looked up and he had dissappeared. A few minutes later he walked right past me, smiled and went up to a large canvas. He was doing a live paint today and i'd just stumbled into it!! Was so great to watch this master work and when he finished he was cool enough to do a quick sketch in my moleskin, turning my unremarkable sketchbook into a priceless relic (at least for me).